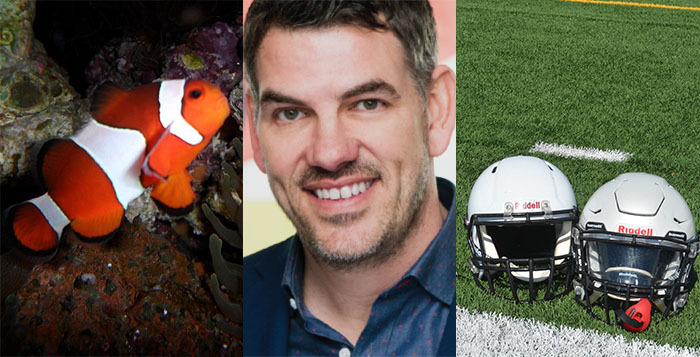 A fishy daytrip, a business competition and the start of high school football are part of this week in Maricopa. A Ray of Hope meeting of Narcotics Anonymous is at 7 p.m. at Maricopa Community Church, 44977 W. Hathaway Ave.
Trip to OdySea Aquarium leaves at 9 a.m. from Copper Sky Multigenerational Center, 44345 W. Martin Luther King Jr. Blvd. Coffee with Friends of the Maricopa Library is at 1:30 p.m. at Maricopa Public Library, 41600 W. Smith-Enke Road. Celebrate Recovery Coffee & Karaoke is at 5 p.m. at Maricopa Community Church, 44977 W. Hathaway Ave.
City Council Work Session starts at 6 p.m. at Maricopa City Hall, 39700 W. Civic Center Plaza. City Council Regular Session is at 7 p.m. at Maricopa City Hall, 39700 W. Civic Center Plaza. Lapsit for ages 0-12 is at 9 a.m. at Maricopa Public Library, 41600 W. Smith-Enke Road. Harrah’s Club 777 Toastmasters meet at 3 p.m. at Harrah’s Ak-Chin Casino, 15406 Maricopa Road. Maricopa Police Explorer Post Meeting is at 5 p.m. at Maricopa High School, 45012 W. Honeycutt Ave.
Movers & Shakers for ages 1-2 years is at 9 a.m. at Maricopa Public Library, 41600 W. Smith-Enke Road. Li’l Explorers for ages 2-3 years is at 10 a.m. at Maricopa Public Library, 41600 W. Smith-Enke Road. A Ray of Hope meeting of Narcotics Anonymous is at 7 p.m. at Ak-Chin Social Services, 48227 W. Farrell Road. Maricopa Entrepreneur Pitch Pre-Competition Q&A Session is at 6 p.m. at Elements Event Center at Ak Chin Circle, 16000 N. Maricopa Road. Strength & Hope Al-Anon Meeting is at 7 p.m. at Community of Hope Church, 45295 W. Honeycutt Ave.
Maricopa Rams Football Home Opener is at 7 p.m. at Ram Stadium – Maricopa High School, 45012 W. Honeycutt Ave.
Maricopa Entrepreneur Pitch Competition is at 11:30 a.m. at Elements Event Center at Ak-Chin Circle, 16000 N. Maricopa Road.